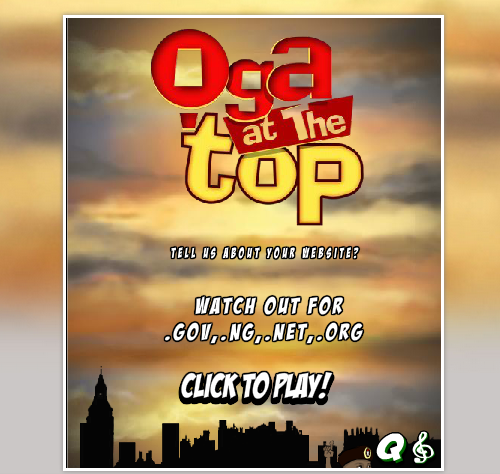 The idea of the game is to pick up points from the letters N, S, C, D, C by controlling the character (Shem) and avoid getting hit by the Top-Level Domains such as .gov, .ng, etc. As you may already know, Shem failed to mention which TLD his organisation, NSCDC uses. So once you get hit by any of the TLDs up to 2 or 3 times, it’s game over.